After spotting an escaped convict at the Annual Lyons Garden Party, the Pep Squad Mystery Club is thrown into a dangerous new mystery. And the only solution lies in the middle of a giant garden labyrith. 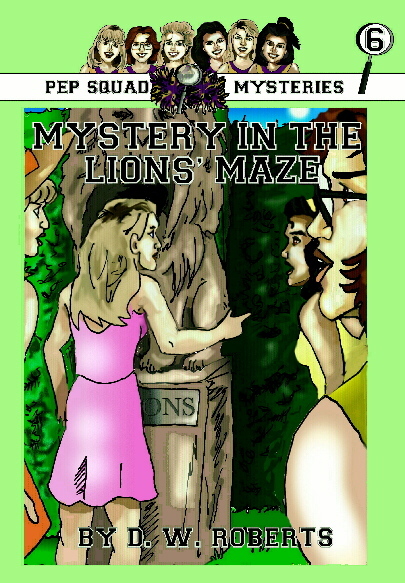 Can the Sea City High School Cheerleaders sovle the MYSTERY IN THE LION'S MAZE?